Allianz Field will host Saturday’s football game between Minnesota United and New York City. The Loons quickly bounced back from back-to-back losses to the likes of LA Galaxy and New England and they now aim to give fans yet another reason for celebration. 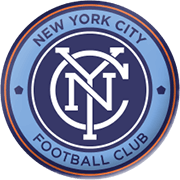 Minnesota United are eyeing their first home win of the season and seeing that New York City made a slow start to the season, we believe that there is a big value in betting on the Loons. 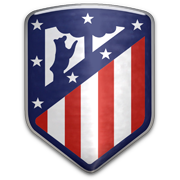 The visitors have been struggling to find their best form at the start of the season, with David Villa being sorely missed. Domenec Torrent’s troops suffered a heavy 4-0 loss to Toronto in their last away game in the Major League Soccer, which is yet another reason why home win should be considered. 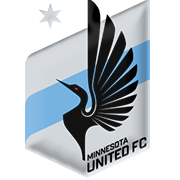 In their last meeting in MLS Minnesota emerged triumphant. Born in Metz, France on March 28. 1990, Romain Metanire is a defender, who plays for Minnesota United in the Major League Soccer. Metanire started his senior career at Metz and after playing for the likes of Kortrijk and Reims, he moved to United States of America. The 178-cm tall footballer made his debut for the Loons on March 3, 2019 in a 3-2 win over Vancouver Whitecaps in the opening match of the season. Despite being born in France, Romain Metanire represents Madagascar on the international stage. He made his debut for the national team in a 2-2 draw with Senegal in the 2019 Africa Cup of Nations qualifiers. His preferred foot is right and his main position is right-back. Romain Metanire helped Reims secure automatic promotion to the Ligue 1 in the 2017/2018 season. Reims clinched top position in the Ligue 2 in style, 15 points clear Nimes, but the following season Metanire made only five appearances in the French elite division.